High Value Systems representing complex products are designed by dividing the general tasks and functions into subtasks and sub-functions, and developed subsystems are combined (coupled) to obtain desirable performance at a later stage. The objective of the coupling is to guarantee a smooth flow of energy, material and signals and to avoid undesirable effects when combining working principles belonging to multiple physical domains. Because of its importance for the successful development of new products, the subject has been studied extensively over several decades and three major approaches to design have emerged (systematic, axiomatic and TRIZ). Although the conceptual stage incurs only 5% of the total cost, it is instrumental for the success of a product because the output from it determines most of the overall product design and development cost. In the above context, the elaboration of the available engineering service knowledge demanded by the planned business model (e.g. “power by the hour” - Rolls Royce etc.) into the existing coupling approaches at the relatively abstract conceptual phase, when the nature of the design solution is not yet fully understood, presents a substantial research challenge and is a core research problem in the design of High Value Systems. It is also necessary to establish current practice in service feedback to manufacturing processes. The aim of this research project is to investigate cross sector challenges in maintenance, repair and overhaul (through-life engineering services) to improve availability, predictability and reliability of high value products while reducing the service cost. This project will also establish the current state of feedback between engineering services and design, and engineering services and manufacturing. This project is the first research attempt focusing on the study of cross sector challenges in maintenance, repair and overhaul to improve availability, predictability and reliability of high value products while reducing the service cost. The current state of feedback between engineering services and manufacturing has also not been investigated before. Most of the previous work in this area has focused on business models and their impact on the design and manufacturing processes and the organisational structure. 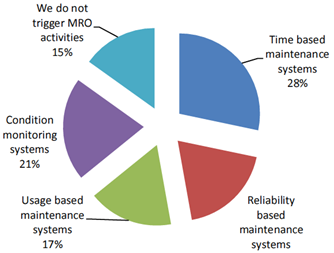 What are the major challenges and opportunities in maintenance, repair and overhaul across the four core industry sectors? 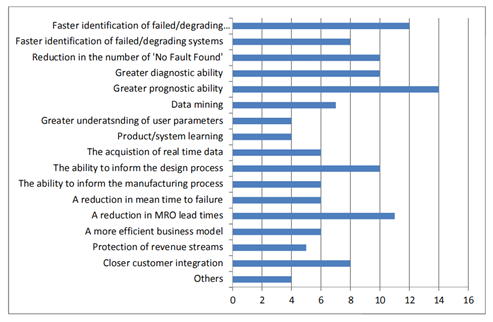 What are the major challenges and opportunities in service feedback to design and manufacturing across the four core industry sectors? How can case studies be captured where design and manufacturing impact service performance and as a result the cost? How can the identified challenges and opportunities be mapped against the current tools to identify the knowledge gaps? How the EPSRC Centre could support wide range of requirements (lower and higher TRL level research and product development, education, standards, etc) from industry in through-life engineering services?